The heights of Elaveezha poonchira (also Ilaveezhapoonchira) hold the least explored terrains. Panoramic view from the top is so outstanding, that one thing is for sure. The future of tourism here is as bright as the sun kissed valleys where light sparkles on everything it touches. Elaveezhapoonchira experience starts as one embarks on a narrow, unpaved and rocky mountain path, negotiated only by jeeps. They are usually hired from Kanjar, a small town 7 kms away. 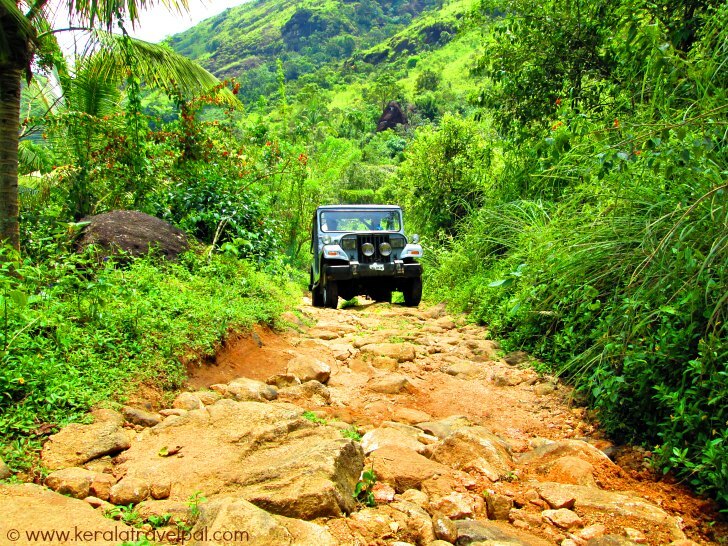 As the local driver takes the vehicle up to the destination altitude of 3200 ft, the jeep ride gets more and more scenic while being increasingly scary. And finally we reach the land of the clouds. Something is certain. Sights are going to take your mind away. What else to expect at a place where panoramic view spans hundreds of Kilometers? Poonchira, a small lake just below, is perennial. Interestingly, the whole valley turns into a lake as water accumulates during monsoons. That too, is beautiful. Is this sheer beauty making you curious about nature’s divine intentions? Silence permeating the hills, rocky cliffs, contours and patchy grasses gets broken by strong winds that blow now and then. Clouds float above, around and below. The literal meaning of eleveezha poonchira is a flowery lake where no leaves fall. The mountain tops have no trees, so no leaves fall to the valley. Are you blown away by seeing the place where no leaves are blown away? View from the top that extends to several districts, is of course, pretty. Malankara Dam and meandering blue waters appear particularly pretty. Also, this is one of the very few places in Kerala, where one could watch sun rises and sun sets from the same spot. Ilaveezhapoonchira is a great trekking spot. You could stick with the tried and true paths or blaze new trails through unexplored terrains. There are a few caves, tribal settlements and ancient burial chambers in the walkable distance. One of the caves, called Nilavara, has a stream flowing just beside. Another cave, Pandavan Guha, got its name from Pandavas of the ancient Indian epic Mahabharat. As per legends, Pandavas stayed in this area. The Tourist Bungalow on top of the hill is small and with only a few rooms. There is no electricity. Mobile connectivity is also out of question. It is for those who want a candle lit night in the middle of nowhere. Also there is the opportunity to watch sun rise and sun set. There is nothing else to do here other than chilling out and trekking. You can pretty much cover the place in a day trip. There are chances for evening thunderstorms, so mornings are the best to visit here. 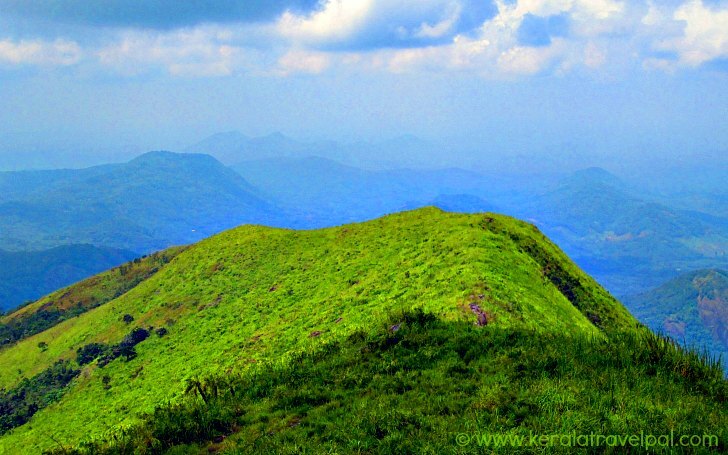 May be it is more convenient to stay at Thodupuzha, Palai or Kottayam to combine a visit to this hill station with backwater or other tourist spot trips. Ilaveezha poonchira is 60 kms from Kottayam town and 20 kms from Thodupuzha. The final leg of the journey requires hiring a jeep from Kanjar, a town 15 kms from Thodupuzha. Nearest towns: Thodupuzha at 20 kms, Palai at 30 kms and kottayam at 60 kms. Bus Station: Thodupuzha at 20 kms. Taxi Hire: Thodupuzha at 20 kms ( Only till Kanjar. Will have to hire a jeep at Kanjar). Railway Station: Kottayam Railway Station at 60 Kms. Air port: Cochin Int’l Airport (COK) at 230 Kms. Food Options: No restaurants at the hill top. Restaurants at Thodupuzha, Pala and Kottayam. Accommodation Options: Hill top Guest House has a few rooms. They need advance booking. Alternatively you could stay at Thodupuzha, Pala or Kottayam town. Best time to visit: Throughout the year except October and November. 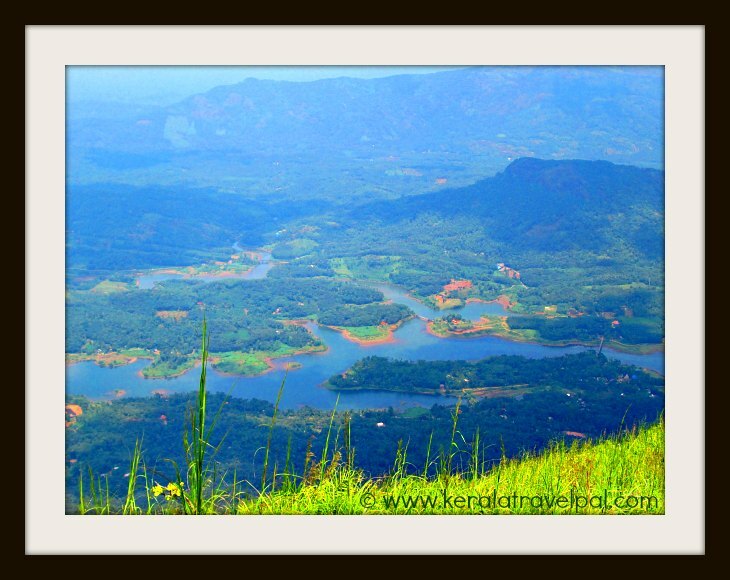 Nearby Attractions: Vagamon, Malankara Dam, Cheeyappara and Valara falls, Kumarakom backwaters and Poonjar Palace.